What’s the difference between Awaken vs. Awaken Gold? Admittedly, not much, as both Awakened Alchemy supplements share the same base formula, featuring an impressive mix of natural, high quality nootropic compounds and herbal extracts. Having said that, Awaken Gold does come with a little more, and that “little more” goes by the name of: Noopept. But why might you want Noopept added to your stack? Or why might you not want the synthetic smart drug? Let’s read the Awaken vs. Awaken Gold comparison review to find out, y’all. Awaken or Awaken Gold: Which is better? 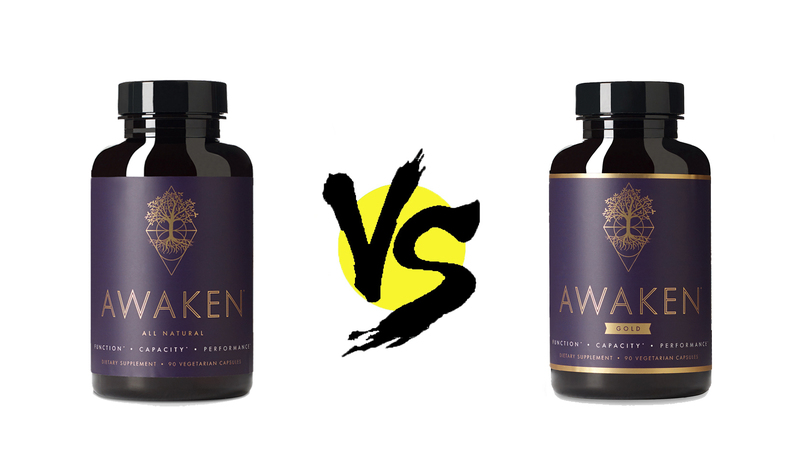 Aside from Noopept and the cool, golden fringe added to the bottle’s label, Awaken Gold doesn’t add much more to the Awaken formula, as you can see from their respective Supplement Facts information below. Awaken Directions: Take 2 capsules in the morning or early afternoon. Do not exceed 4 capsules in a 24 hour period. 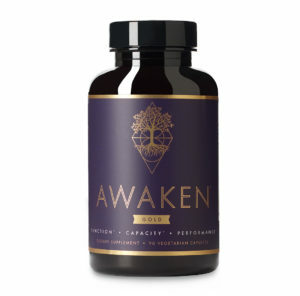 Awaken Gold Directions: Take 2 capsules in the morning or early afternoon. Do not exceed 4 capsules in a 24 hour period. We recommend cycling 56 days on, 4 days off. Not that I have any particular grudge against caffeine. (I’m drinking coffee as I type, as I almost always do when I type.) But I don’t view it as a bona fide nootropic — at least not one that should be in nootropic brain health supplements. Too many supplement manufacturers rely on caffeine to give off the impression that their supplement “works”… but not Awakened Alchemy. Instead, Awaken gets its brain boosts from the likes of Citicoline, N-Acetyl L-Tyrosine, and PQQ. Each contribute to brain energy and focus in their own unique way, altogether improving ATP energy production, catecholamine activity, and synaptic plasticity (or neuroregeneration). 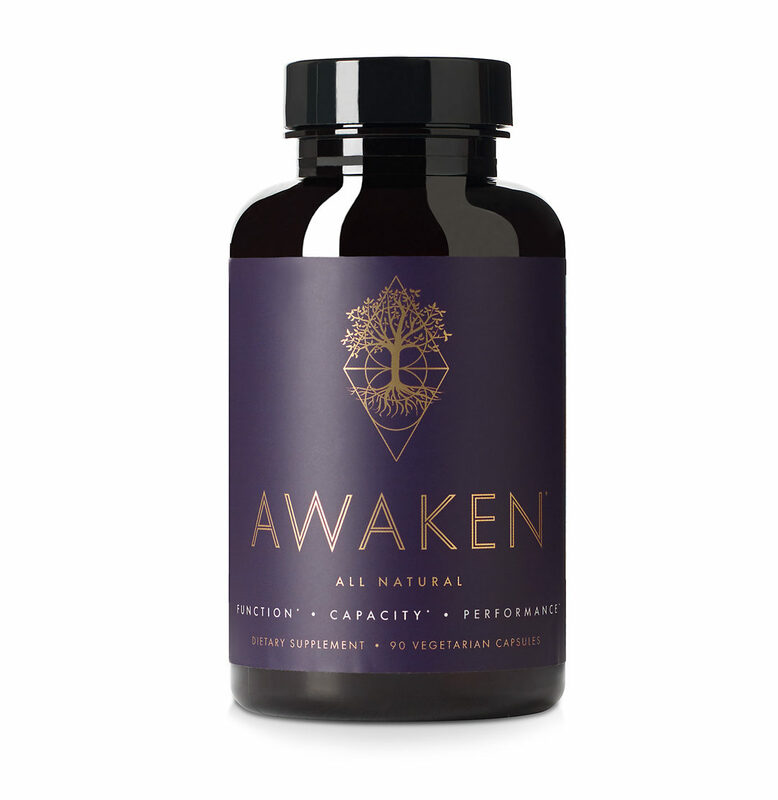 Additionally, Awaken keeps the calm with anxiolytic L-theanine and KSM-66 (ashwagandha), which improve mood and focus for cleaner, calmer thinking. Funny enough, these ingredients make Awaken a great stack option with an external source of caffeine (i.e., your morning coffee), as L-theanine in particular helps reduce the jittery side effects of caffeine without minimizing its focus and energy benefits. Read my in-depth review on Awaken. Everything that the base Awaken formula gets right, Awaken Gold also accomplishes. Really, there’s not much more to say about Awaken Gold that hasn’t been said about Awaken, other than that Awaken Gold supplies Noopept, a racetam-like drug with potent cognitive enhancing effects. Often misquoted as a racetam, Noopept does have similar benefits to piracetam, essentially operating as a more effective and powerful version of piracetam. Whereas piracetam requires ongoing long-term supplementation reach peak effect, Noopept may be felt upon the first serving, delivering a more “psychostimulatory” experience. I prefer this form of stimulation over your usual stimulant experience, as Noopept doesn’t just flush your brain with energy and focus. Instead, Noopept stimulates the cholinergic processes of the brain, enhancing memory- and learning-related mental pathways for true nootropic brain boosting. Although, some may be turned off to Noopept altogether simply due to its synthetic status. Having said that, to those open to Noopept, Awaken Gold provides a much stronger brain boost with this ingredient as compared to the vanilla, all natural Awaken formula. Read my in-depth review on Awaken Gold. Awaken may advertise itself as an all natural supplement because it uses all natural ingredients, or at least ingredients that come from all natural sources. This may be important to health conscious nootropic enthusiasts who fear the effects of synthetics of any kind. Frankly, it’s not a trivial fear: many synthetics, even healthy synthetics such as Noopept, may come with tolerance build-up concerns. Even if Noopept use doesn’t negatively affect health, the brain’s tolerance to the drug’s psychostimulatory effects may influence the users’ behavior in an unwelcome way. Because Awaken doesn’t supply Noopept, you won’t need to cycle Awaken to preserve its effects. You can supplement it long-term without diminishing its power. Because Awaken Gold does supply Noopept, you may need to cycle Awaken Gold on and off to preserve Noopept’s psychostimulatory benefits. This is somewhat of a bummer, if, say, you enjoy Awaken Gold’s L-theanine with your daily cup of coffee. Some days you’ll have to drink that bad boy straight — no nootropics, no nothing. Thanks to Awaken Gold’s citicoline, you likely won’t need to supplement any additional choline to assist Noopept’s potential headache side effect. Although, if you feel slightly off due to Awaken Gold’s Noopept content, some additional choline (e.g., more citicoline or alpha-GPC) may be in order. Frankly, I don’t see this being an issue for many. Instead, what you’ll like experience with Awaken Gold is the same experience you may expect with Awaken, except with a much more potent and powerful cognitive rush. Not a bad idea for the deadline-racing student or worker. And, of course, their use of BioPerine® black pepper extract. Virtually every supplement may improve their overall potency and quality with BioPerine, a black pepper extract brand that supplies piperine, a bio-active compound suggested to improve nutrient absorption in the gut. Some ingredients, such as curcumin, may not even work without the addition of piperine to assist their absorption into the body. And the best part about BioPerine: it works in tiny doses. Essentially, you’re paying an additional $10 for Noopept, if you buy Awaken Gold. Which is reasonable, given the price of Noopept and the fact that you’re receiving 45 servings’ worth of Noopept. Also, if you buy through the Awakened Alchemy online store, you’re given the order options of 1 bottle, 2 bottles, and 3 bottles for both Awaken and Awaken Gold. The latter two options (2 bottles and 3 bottles) reduce the bottle price by 10% and 15%, respectively. However which way you cut it, Awaken is slightly cheaper than Awaken Gold. Awaken is all natural and Noopept-free. 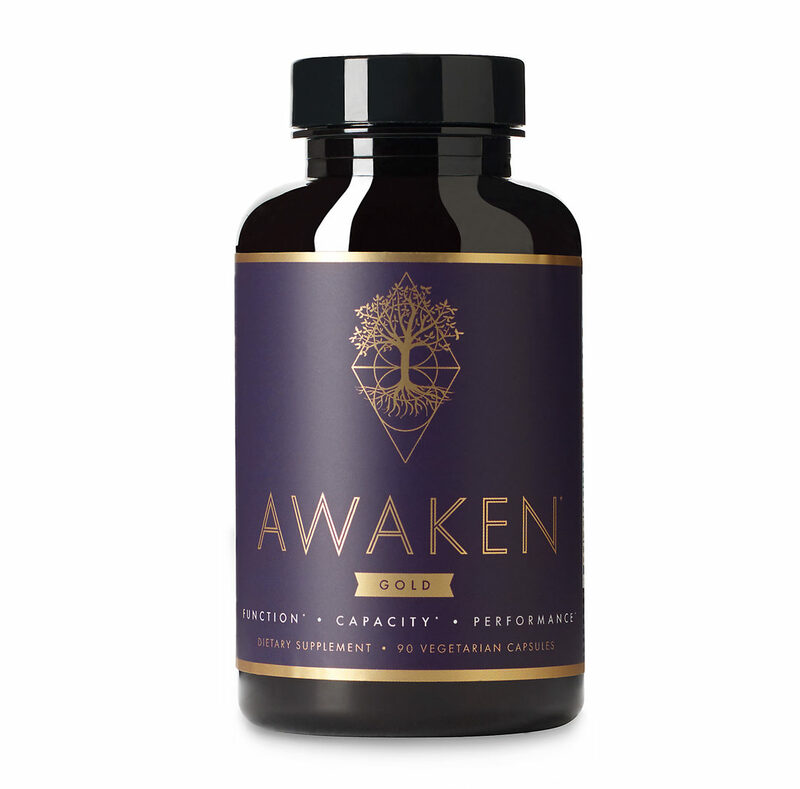 The original Awaken formula is impressive on its own for its mix of all natural nootropic extracts and compounds. Without resorting to caffeine or other cheap stimulants, Awaken amplifies brain energy and focus while minimizing the risk of cognitive impairing jitters. It simultaneously charges and calms the mind for clean, green mental performance. If you want to jack it up with external sources of mental excitation, the option is up to you rather than forced on you. I can dig that. Awaken Gold is mostly natural and Noopept-powered. Awaken Gold hits all of the same impressive notes as Awaken and then some. Noopept may be only one ingredient but it’s an exceptional ingredient, significantly amplifying brainpower in ways that many other (safe) nootropics can’t. By no means is it in the same league as, say, Adderall or other stimulant smart drugs. In fact, I wouldn’t even classify Noopept as a true stimulant, as it takes a more genuine cholinergic approach to brain boosting. But it’s powerful nonetheless, warranting the need for a Noopept-free as well as Noopept-containing options of this awesome formula. Noopept – do you like it? Price – $10 per bottle adds up over time. Bottle to bottle, the $10 discrepancy isn’t much, considering the cost of 45 servings of Noopept elsewhere. If this is the target dosage you’re aiming to hit with Noopept, then Awaken Gold is pretty awesome deal for you. Personally, I can dig Noopept (and other racetams — e.g., phenylpiracetam), but I only like to take it every now and then. Which is why I may be turned off to the cycling aspect of Awaken Gold. I don’t want to cycle L-theanine the way I cycle Noopept. However, Noopept is a great nootropic for brain health. Even if you don’t feel its acute psychostimulatory effects after awhile, you’re still receiving underlying brain boosts in the long-run. In the choice between Awaken vs. Awaken Gold, I lean towards the latter, as the introduction of a safe synthetic such as Noopept gives the Awaken formula a sort of bionic half-natural, half-robot appeal that’s somewhat unique to the mainstream nootropic market. If neither really float your boat, I recommend checking out my Best Nootropics of 2018 list.